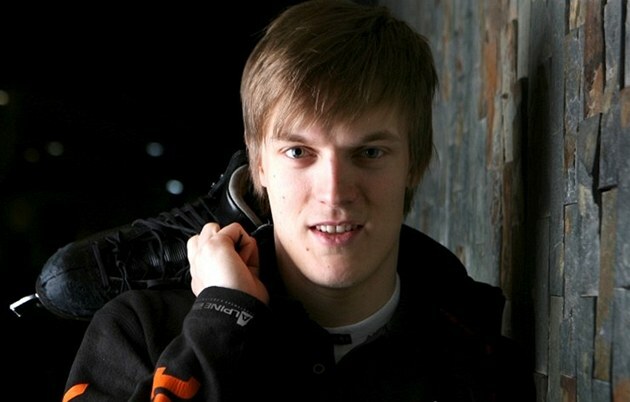 One of my favorite skaters, now a coach and commentator – Tomas Verner gave at interview for Sovsport.ru. It was interesting for me what’s going on in his life now and I wanted to share it will those who don’t understand Russian, so here’s the translation. The author of the interview also pointed that Thomas speaks Russian very well and there almost wasn’t no need to correct Verner’s answers for publication. Tomas, now you look at figure skating from two perspectives – from the board and from the commentary position. Do you miss skating? Tomas: Of course, I miss it. To perform on ice in front of the audience – for me it’s the feeling that you can’t get from racing or jumping with a parachute. But I’m a realist. I understand how I need to train and how much money I have to spend to prepare well for competition such as European Championships. In addition, men’s figure skating is developing so rapidly that I have long understood – it’s time to go look for another job. Now I’m trying to look for. Trying journalism, be a manager, coaching activities. But I’m not ready yet for the final decision what to do next. So, you have already tried racing and skydiving? Tomas: I tried. I liked it, so cool, the adrenaline … I like machines and jumping from a plane. But figure skating on the first place. No race can be compared with emotions when you perform programs on the ice in front of thousands of people. Probably, musicians on the stage, actors in the theater, ballet dancers experience the same feelings. Have you dreamed of competition for a long time after you left the sport after the Olympic season-2013/2014? Tomas: No. In my last year in amateur sports, I haven’t that desire to compete as before. Like at the time when I was winning the Grand Prix and European Championships, when I was fighting for the podium at Worlds. At the end of my career I already haven’t dreamed about winning, so when I retired from the sport, I didn’t see competitions in my dreams. But I’m glad that I can continue to perform in shows. Grateful to Evgeni Plushenko, who invited me to the projects “Snow King” and “Kings on Ice”. I really like to perform there. And I don’t want to go back to competitions. Do you like to perform in this show? Tomas: Yes. I’m very glad that we can be on ice not as rivals but as friends. Yes, I always wanted to beat him but it changed nothing in my attitude to him, he’s my friend. And now we’re working as a team. With only one purpose – to delight the viewer. Actually, for me it was the main goal even when I was skating in sport. Maybe, judges didn’t like something but if the fans were happy – I was happy. Incidentally, in the “Snow King” I’m not only Evgeni’s friend, I play the role of his knight. His guard. It’s just a super feeling. Evgeni aims to return to the sport, and to perform at the Olympic Games in 2018. Do you believe that he will succeed? Tomas: If Plushenko say, he will do it. It’s a fact. I haven’t believed Plushenko twice, said that he won’t be able to return. But he returned. Won. He made that promise. Yes, I don’t know where he takes motivation and how he does all these difficult jumps. But I know that if he says he’ll do it. How do you think, which place Plushenko would has taken at the European Championships in Bratislava? Tomas: If he had prepared properly and in advance for this competition, he would have done two quads in the short program and three quads in the free. I’ve known Plushenko for a long time, saw him at training doing quad salchow, quad lutz, not to mention toe loop. He jumped almost all quads. If we talk about the shape in which he skating now in the “Snow King”, at European Championships he would have been in the top-three. If not to take into account Javier Fernandez and Russians the level of men’s figure skating in Europe is not too high. What, in your opinion, is the problem? Tomas: Well, not only Russians and Fernandez, Israel performed very strongly, Alexei Bychenko won silver. Global reason, in my opinion, is that it’s easier for Asians to jump quadruples. They have more suitable body constitution for that. They are smaller than us Europeans. Compare Japanese growth of 160 centimeters and weighing 56 kilograms with me, for example. Growth 180, “fighting” weight was 71 kg. Plushenko’s growth also 180. Brian Joubert’s weight was 74 kilograms. The difference in 20 kilograms with the Japanese is a serious problem. Tomas: When I look at Yuzuru Hanyu, at other Japanese skaters, I see that they are almost not tired after the execution of the program. If I had a weight of 56 kg I wouldn’t have been tired to end of the free program. But there is one method how to compete with the Asians. It called “lots of trainings” (laughs). In Russia figure skaters are supported by the state. In the Czech Republic it’s certainly not like that. Tomas: Of course. I was at your base in Novogorsk. Excellent facilities: hotel, food, ice rink, doctors, physiotherapists, swimming pool, gyms. State pays for this. In America, I’ve seen it, seen in Canada. And we don’t have such. In Europe haven’t seen it too. Figure skating is an expensive sport. You must pay for everything – costumes, ice, coach, doctor, accommodation. Few skaters can afford it. The state should help. But it doesn’t. Therefore, only the singletons appears in Europe. What impression did you have from Russian single skaters at the European Championships? Tomas: I really liked Mikhail Kolyada. He skates great. Alexander Petrov did great. Regarding your best skater, Maxim Kovtun, he has everything to win. He has quads and skating too. But there is no consistency. I don’t know why, he already has significant experience. And skates like me: one time “yes”, one time “no” (smiles). How, in your opinion, to get the consistency? Tomas: You know, I remember the time when I started to skate at a high level. Then, from Russia to the same European Championship came Evgeni Plushenko, Alexei Yagudin and Alexander Abt or Ilia Klimkin. Came to practice like at home and took medals. When you constantly skate on such events consistency comes. You now every year have a new team. And it’s difficult to achieve consistency at Grand-prix and junior Gran-prix. But for your figure skating in general the “long bench of substitute” it’s, of course, good. And in general, I still want to point out Max and two other Russian skaters who performed in Bratislava – very promising. They are able after one season to to be at the worlds level. And to get very close to the Japanese. Once you have compared Maxim Kovtun with yourself, give him an advice on how to become more consistent..
Tomas: I don’t know what to say (laughs). You know, until 2010 in my skating was a dream. And then the dream was gone. I wish your skaters to dream and be sure that they absolutely can do everything. Hanyu scored 330 points – so what? You have everything to gain as much or more. Don’t limit your thinking. Skate with idea that you can win the World Championships. That’s it, I think, it’s my advice. Why your dream was gone? Tomas: Oh, this is a topic for a very long conversation. In short, I realized that I didn’t get to the top, I had problems with my back, I had to change the training base … And I lost confidence. Together with the results. Therefore, referring again to your skaters, I say, believe in yourself! That’s the main thing. Seems we will have a chance to see a skater from the old guard. Carolina Kostner tends to come back.